After succumbing to an invasion by the alien Irous, the citizens of Earth migrate to a moon-like colony above the planet where they cultivate the Holy Tree, a mystical plant that grants powers to a group of girls known as the Hoshimori. Protected by their Celestial Suits and armed with a variety of magical weapons, the girls manage to largely retake the planet, allowing the humans to come down from their colony. The Irous threat is still present however, and the Hoshimori girls of Shinjugamine Girls’ School must work to protect the people from the alien invaders. 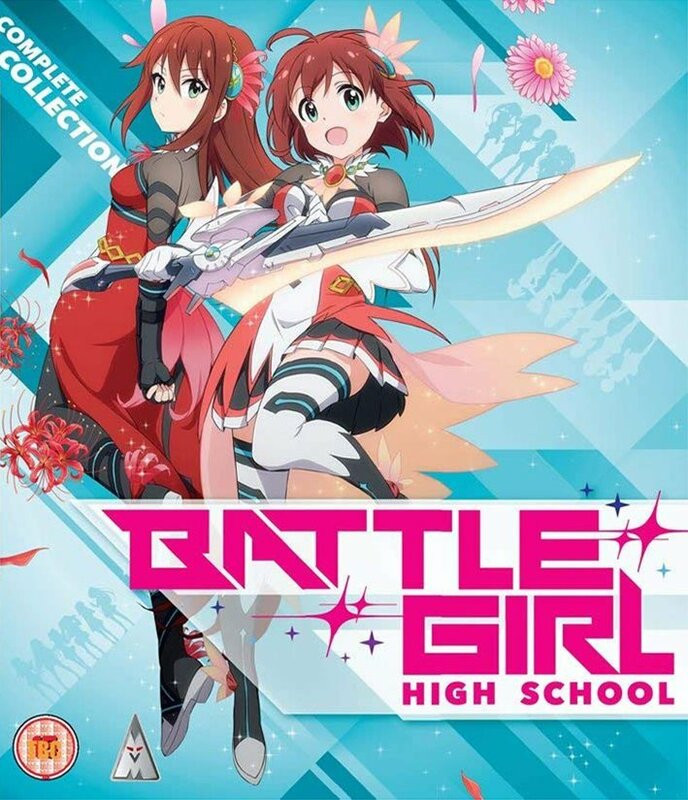 Produced by Silver Link and directed by Noriaki Akitaya, Battle Girl High School adapts the 2015 Japanese mobile game of the same name into a series that combines magical girl, slice-of-life and idol elements with mixed results, with it not knowing whether it should be one of the three. It tries out each genre in succession before finally hitting its stride in its final third. For the most part the series tries to follow a monster-of-the-week formula, with each episode following the girls studying, training or hanging out before disaster strikes with an Irous attack that they have to stave off. It’s definitely a formula that works, but there’s too much filler in this series to make it feel effective as we see episodes that focus more on the girls’ daily lives and relationships. This does give the show a lot of time to build its characters, but this doesn’t work as intended, as with 19 members in the Hoshimori team, the size of the cast is too large to give them any meaningful depth. You do get the occasional side-story that delves deeper into a particular character, but most of them are glazed over and are easy to forget until you see them in battle. Misaki is definitely the most interesting character as the majority of the plot revolves around her; from why she’s so much better at fighting the Irous than the other girls to where she actually came from. While she fits the tsundere mould it feels more natural than some other shows as she has to go through the process of making friends, and by building this slowly over the course of the series, it allows the audience to bond with her too. 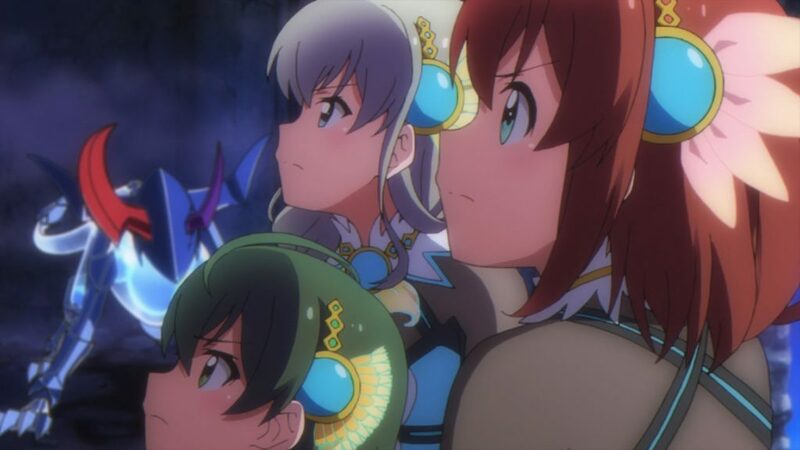 While the early part of the series is spent introducing Misaki to the team, a significant amount of time is also spent on Shiho and Kanon of the idol duo Fortissimo as it diverts away from the magical girl battles and turns itself into an idol show. While these sections are used as padding, they are pretty fun to watch as they delve into Shiho and Kanon’s relationship and showcase the common themes of teamwork and always doing your best in ways that the battle sequences don’t. It helps that the music is good too, which is no surprise with kz from livetune composing quite a few of the show’s songs along with its soundtrack. Deep Connect leads the opening battle scene and is suitably punchy, the opening theme Hoshi no Kizuna sounds like something you’d hear in Love Live! and Cat-Cat Romance is a dance track that will have you breaking out the glowsticks for sure! The soundtrack itself matches well to what is on screen with light and fluffy piano around school and more aggressive tracks when in battle. There could have been more variation as the same couple of battle songs tend to get used a lot but it’s definitely not bad to listen to. While the battles themselves are supposed to be centrepieces, they suffer from a restricted budget with the lack of effects and slow pace of attacks affecting their impact. 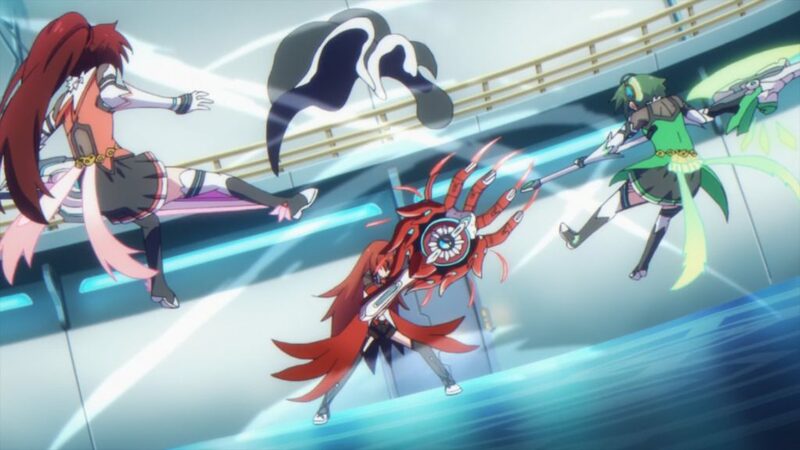 To make up for this, the scale of the threat is increased with the girls facing off against some huge monsters, and the focus is placed on strategy rather than an all-out brawl. Each monster has a weak spot that it’ll protect in some way and most battles are resolved by the girls working out how to get to that weak spot. 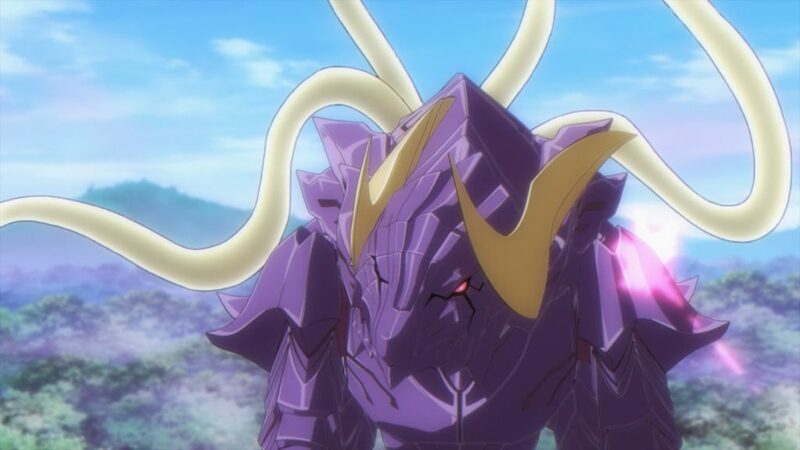 It’s an interesting idea that works well in hiding some of the show’s weaknesses, but can leave the battles feeling all too easy once its weakness has been revealed. Apart from one big battle, the middle part of the series drags a bit as it turns to using slice-of-life segments to fill time. 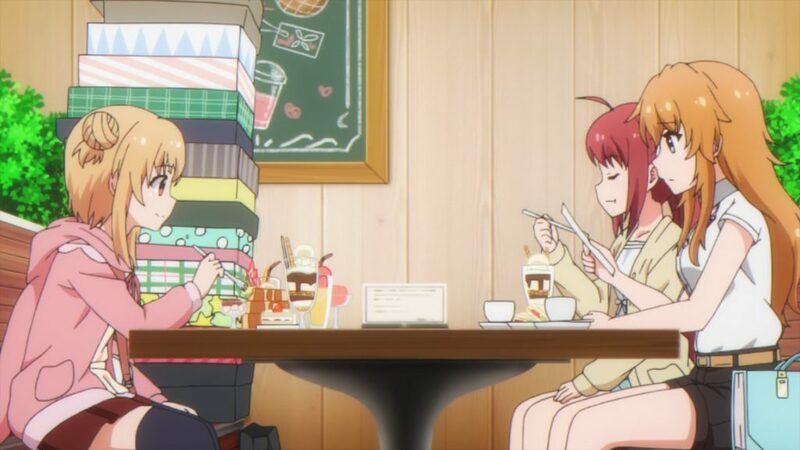 There’s a humorous body-swap episode and some cute moments when the girls spend their time off baking a cake and visiting a theme park, but for the most part they don’t have any impact on the main plot. Add in some overused bath scenes and it all starts to get boring and predictable. Thankfully things pick up towards the end as some unexpected enemies appear and the story starts going places. 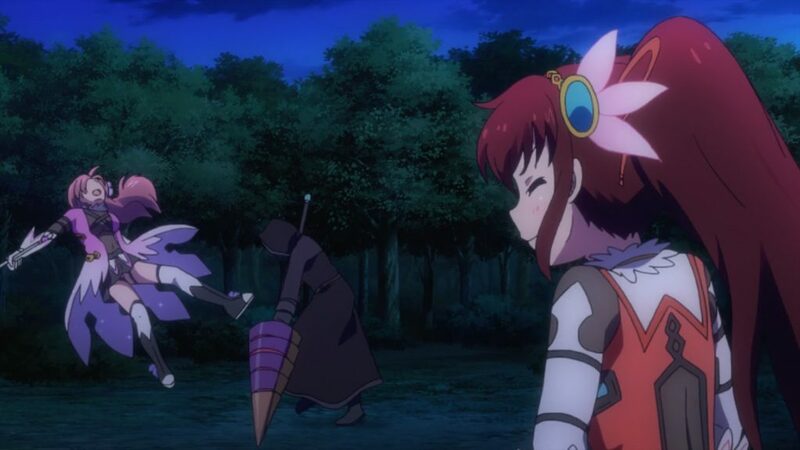 The revelations here show that the story has a strong base to work with, but it needed a lot more fleshing out to stretch itself over 12 episodes. There’s quite a few plot holes and things left unresolved by the end, and the main villain, who appears just out of sight throughout the series, isn’t even noticed in a strange final battle where she’s standing there in plain sight. On the discs you get the twelve episode series and clean opening and endings, and some trailers. This is a subtitle only release, with the Japanese voice cast featuring some high-profile voice actors that you wouldn’t expect in a title such as this with a more budget feel. With the likes of Aya Suzaki as Miki, Rie Takahashi as Misaki, Nao Touyama as Nozomi, and Sumire Uesaka as Yuri it makes for a pleasing Japanese dub with characters that are expressive and believable. 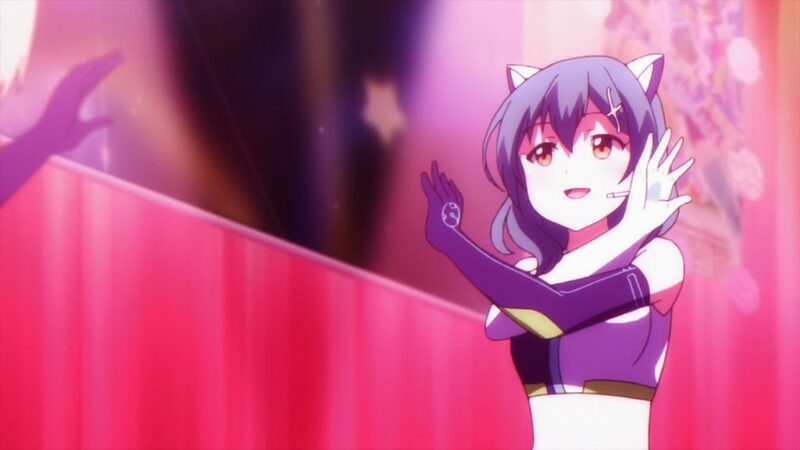 Overall, Battle Girl High School is a mixed combination of magical girl, slice-of-life and idol shows that lands itself in an identity crisis for not wanting to commit to one particular direction. While it does find its feet towards the end, it’s all too little too late and can’t make up for all of the padding you have to go through to get there. Unless you are interested in the show’s surprisingly good music or its high-profile voice cast, this one is difficult to recommend.